More Photos of the Historic Burrell Homestead. Photos of interest of the Burrell Homestead. The following photos were done between December 30, 2000 and January 25, 2001. Eleanor Burrell pased away on the morning of January 21, 2001, these photos are posted in honor of her. 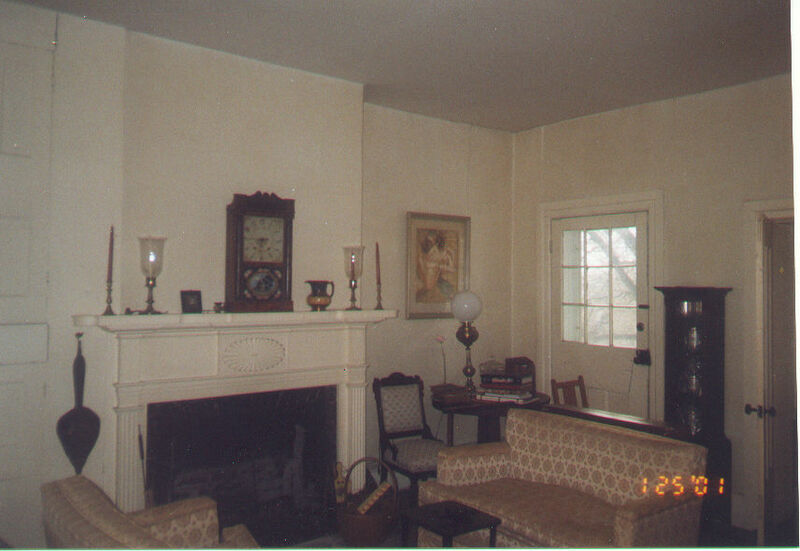 The top photo is of the parlor of the Burrell Homestead. When the Burrell's lived in the house, this room was mostly used on holidays and special times. Most of the time the room was closed. The mantle around the fireplace is the only one to have the intercate design. The clock was bought in the 1930's and it fits perfectly there. To the left of the fireplace in bookshelves built in the wall. And on the wall facing the fireplace, is portraits of the Burrell Family ,and relatives. 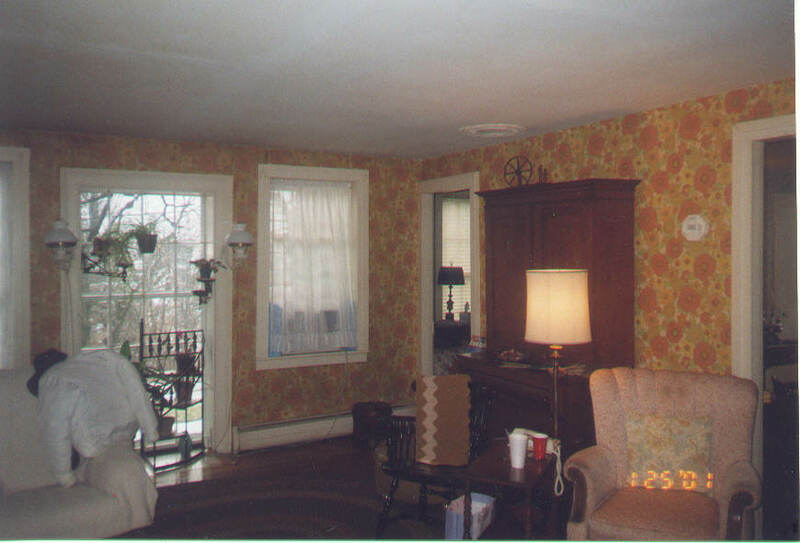 The Middle photo is of the sitting room, it is the main room of the house. It is the first room that you enter into. The chair in the right lower corner was Eleanor's chair. When I would call on her, she would sit there, and I would sit across from her. The desk behind her chair, was used as the post office in the 1880's to 1890's. On the wall across from Eleanor's chair is a picture of the Sheffield Church, which was across East River Road from the house. 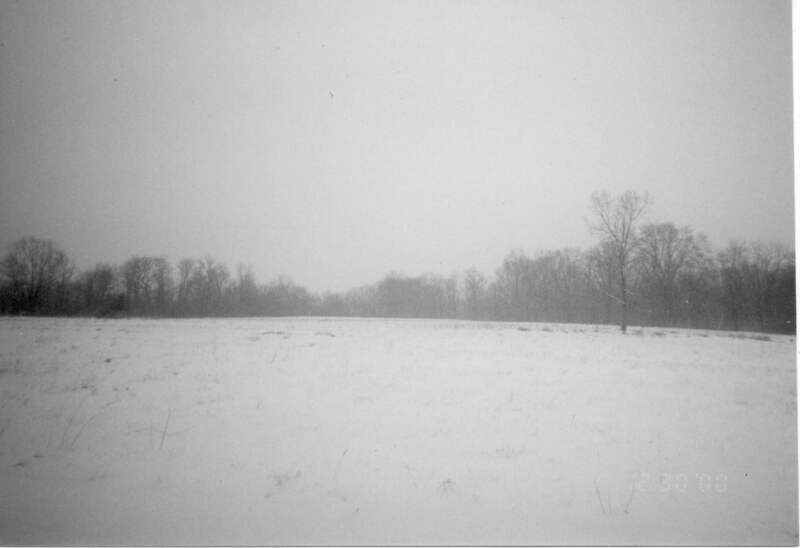 The lower photo is a winter view of the land looking from the house. It is peaceful and quiet there. The year 2001 was only 15 minutes old when I came to check up on the farm. As I sat in the car, wondering what it was like on this day in 1850, and 1906. I felt the presense of Robbins, and Edward Burrell. It was like they were waiting for me to bring to them runaways on the Lorain County Underground Railroad.